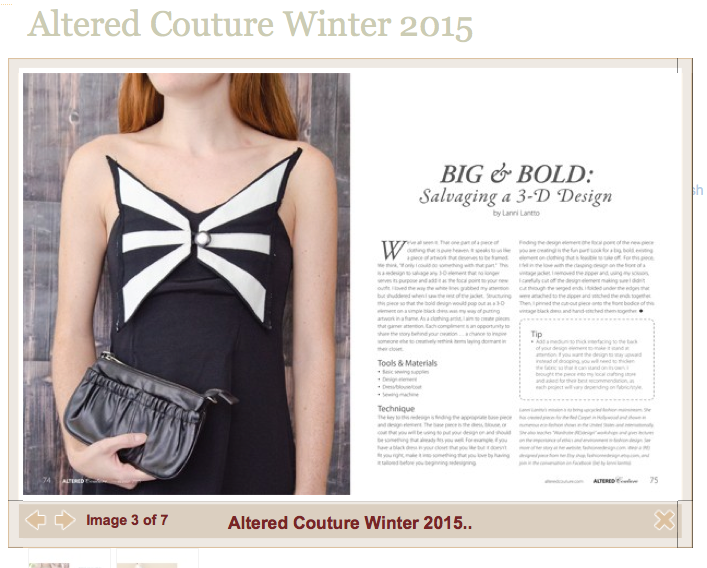 (RE) is featured in the Winter 2015 issue of Altered Couture Magazine! There are 2 How-To tutorials on “How to Salvage a 3D Design” and “How to REdo a 1990s windbreaker”. Pick up a copy of the issue here. 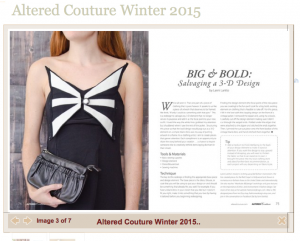 Altered Couture is a 160-page publication dedicated to altered and embellished clothing and accessories.